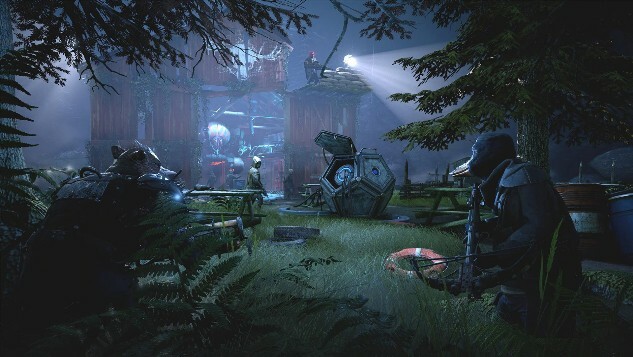 A couple of months ago, publisher Funcom and developer The Bearded Ladies announced that it was bringing the classic pen-and-paper role-playing game Mutant Year Zero to life with a videogame adaptation called Mutant Year Zero: Road to Eden. The game’s first teaser trailer showed off a post-apocalyptic world featuring a humanoid duck, pig and stone person fighting for survival against unknown forces. If that wasn’t enough to get you on board, today brings a brand new gameplay trailer, complete with a bunch of tactical RPG goodness. The trailer comes on the heels of the developer’s recent appearance at E3. In the trailer, we’re treated to a bit of comedy, an introduction to the game’s three playable characters, and a good amount of action-teasing exploration, story and a heavy emphasis on strategic turn-based gameplay. It’s a pretty extensive look at the game’s combat, which features stealth elements and special abilities for each character. The standard edition of Mutant Year Zero: Road to Eden will retail for $34.99, while the deluxe edition will cost $54.99. The game is expected to release during the second half of 2018 for the PC, PlayStation 4 and Xbox One. You can see all the mutated action by watching the gameplay trailer below.